If you're looking for quality 38 special ammo that feed reliably at a competitive price, you're in the right place. When it comes to quality ammunition it is tough to beat Federal. 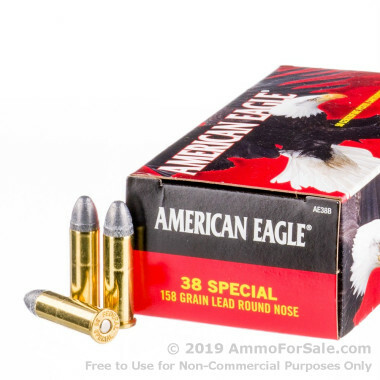 This ammo falls under Federal's American Eagle brand, a brand known for consistent range performance. This 38 Special ammo for sale is designated by Federal as FAAE38B. These 1,000 rounds of brass cased ammunition are boxer primed and are loaded with 158gr LRN (Lead Round Nose) projectiles. 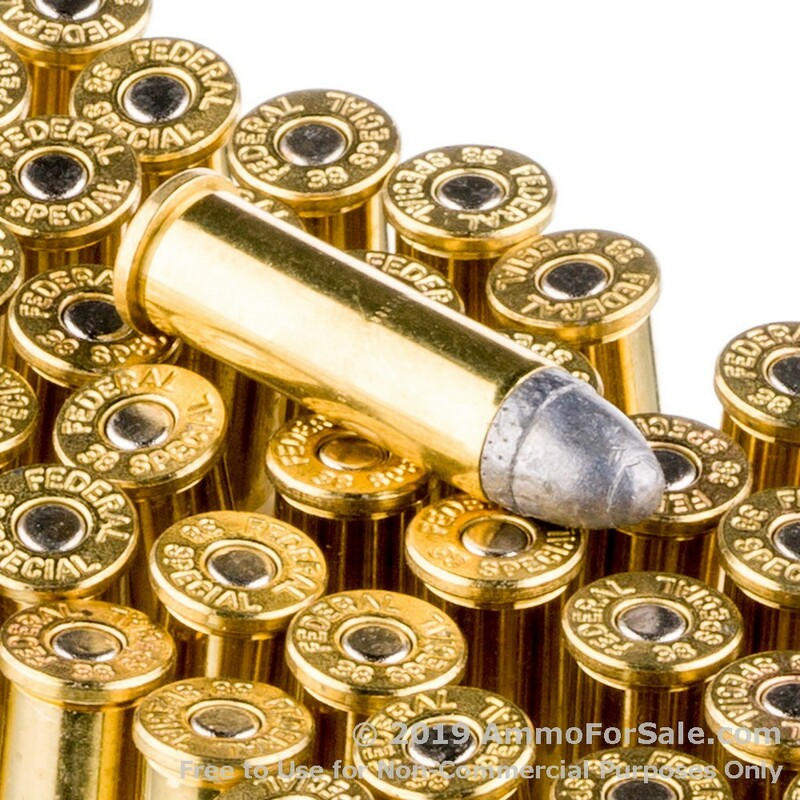 This 1000 round case will give you enough ammunition to last several extended range sessions with your favorite 38 Special revolver or lever action carbine. This ammunition will perform well for training or Cowboy Action Shooting and is economically priced for regular target practice. The 158 grain LRN round leaves the muzzle at a mild 760 fps. 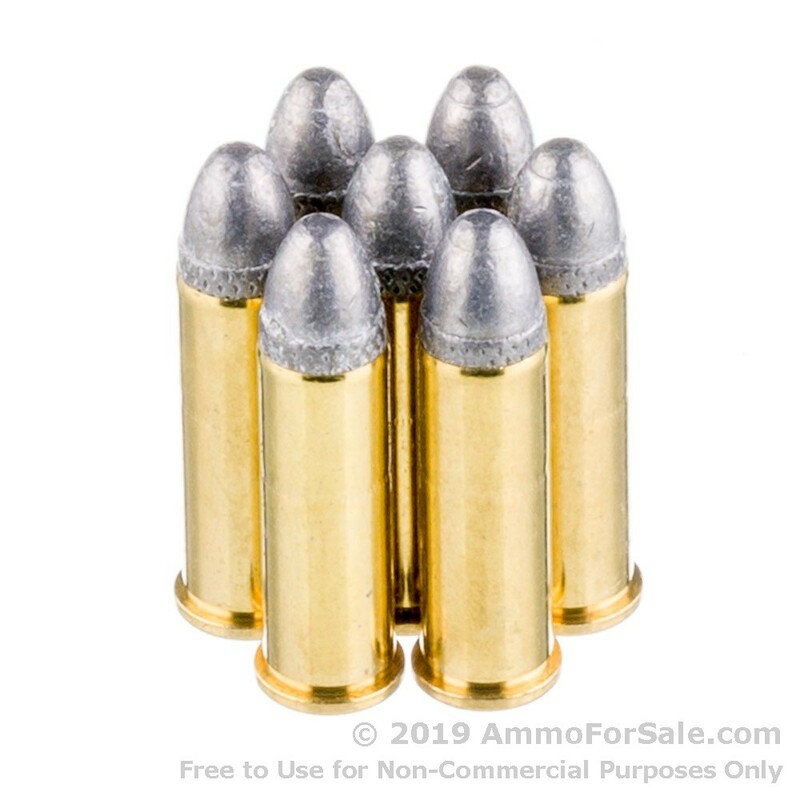 This load has been used in the 38 Special and is safe in all handguns chambered in that caliber, regardless of the year of manufacture. Federal ammunition is loaded using the highest quality components manufactured in-house and exceeds all United States Military and rigid NATO standards. Regarded as an industry leader for close to a century, the company was founded in 1922 and is headquartered in the Twin Cities suburb of Anoka, Minnesota. Federal is well thought of by American shooters in part because they make all of their components in house and their primers, brass and projectiles have long been the first choice for professional shooters and reloaders throughout the world.